Welcome to my blog for this week's Saturday Spankings and another 8 sentences of my Western new release! Jessica was debating in her mind whether or not the embarrassment was worse than the pain when Johnny landed an extra-hard swat down low, in the juncture where her bottom met her thighs. She buried her face in Johnny’s pants leg to stifle her cry of pain, but the debate raging inside her head was solved; the pain was worse. “You’re hurting me! Please stop!” she begged, wrapping her fingers tightly around Johnny’s ankle. Sounds like he's a strict task master. The fact that she knows what she did was wrong is interesting. Even if she didn't agree, she's smart not to tell him that. Love the snippet, Kelly. Thanks Kathryn :) This snippet comes straight after a previous excerpt I have shared, where she has to be rescued in the stampede. 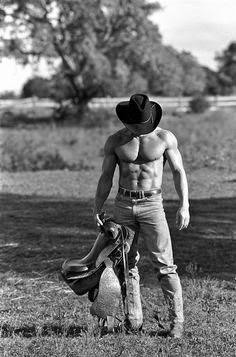 I love the pic of the cowboy. She's a lucky girl - a hand instead of a switch. It's hard to admit it's not enough when you're really hurting. I hope she knows to behave when there are tree switches around. Great snippet, and I love that cover! Thanks Lucy! I love the cover too :) Korey Mae Johnson did a fantastic job!